I noticed some really neat images flowing past Jason’s computer over the last week. 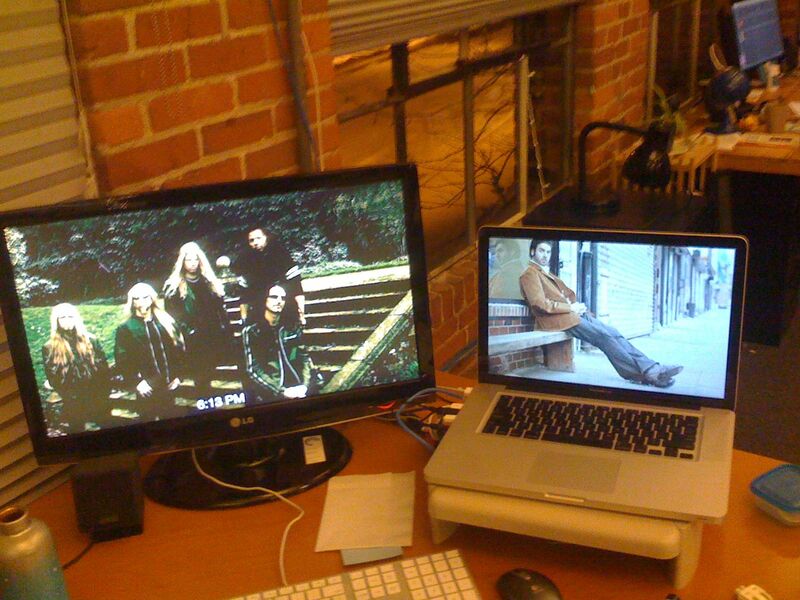 Whenever Jason was away from his desk, our section of the Echo Nest office would be treated to a very interesting slideshow – mostly of musicians (with an occasional NSFW image (but hey, everything is SFW here at The Echo Nest)). Since Jason is a photographer I first assumed that these were pictures that he took of friends or shows he attended – but Jason is a classical musician and the images flowing by were definitely not of classical musicians – so I was puzzled enough to ask Jason about it. Turns out, Jason did something really cool. He wrote a Python program that gets the top hotttt artists from the Echo Nest, and then collects images for all of those artists and their similars – yielding a huge collection of artist images. He then filters them to include only high res images (thumbnails don’t look great when blown up to screen saver size). 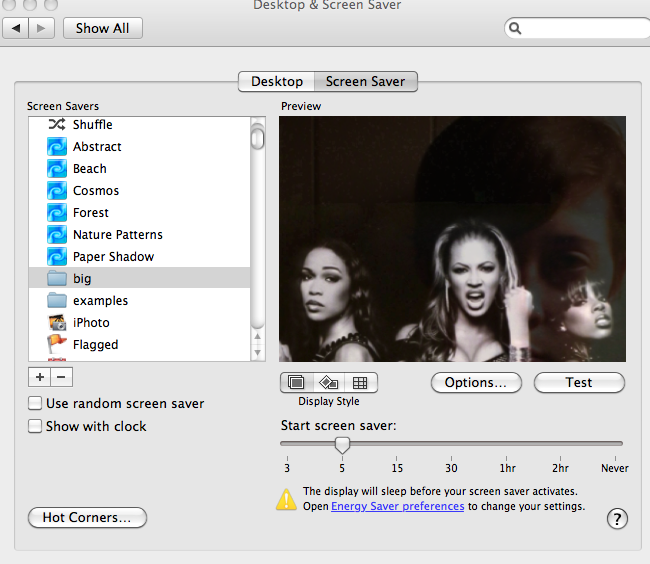 He then points is Mac OS Slideshow screensaver at the image folder and voilá – a nifty music-oriented screensaver. Jason has added his code to the pyechonest examples. So if you are interested in having a nifty screen saver, grab Pyechonest, get an Echo Nest API key if you don’t already have one and run the get_images example. Depending upon how many images you want, it may take a few hours to run. To get 100K images plan to run it over night. Once you’ve done that, point your Pictures screensaver at the image folder and you’re done. This entry was posted on February 13, 2010, 1:23 pm and is filed under code, fun, Music, The Echo Nest. You can follow any responses to this entry through RSS 2.0. Both comments and pings are currently closed.